Abstract: Crystal bases were introduced by Kashiwara in his study of the representation theory of quantized universal enveloping algebras. Tableaux are objects that are central in combinatorial representation theory, especially in relation to Lie groups. 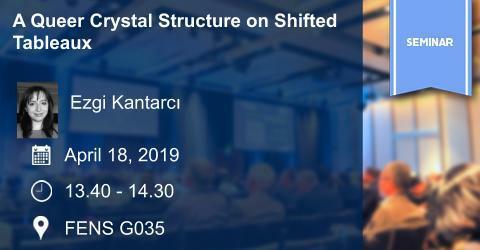 In this talk, we will combine the two to give a connected queer crystal structure on semistandard shifted tableaux of a given shape.